We believe the difference between the Western countries and the African countries is lack of education. We therefore, are investing in the education of the children so that we can save their future. 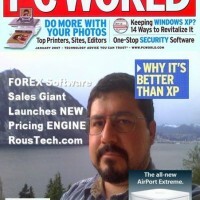 http://www.roustech.com/ buy the Rous FX bridge before May 31,2011 and setup it free. The Strawman Illusion - The Matrix Revealed Amazing information but I am still confused about the realistic application. I wish you all a prosperous new year. A year with excellence and also peace. RousTech is US based software company which develops risk management software solutions for the brokerage and banking industry. Our software solutions have been in use since 2004. We create custom software which allows brokerages and banks to automate their trading platforms order routing processes into their counterparty trading platforms. We provide the following custom software solutions. Rous FX Bridge Rous Multi Account Manager (MAM) Our team consists of over 40 years of IT and financial services experience. Our team understands the needs of our clients and can deliver results that will surpass all expectations. Our products are currently being used by institutions throughout the world including the following counties. Austria Germany Switzerland Finland USA Cyprus Singapore Ukraine Russia India New Zealand We invite you to go through our website and let us know how we can assist your needs further. Non-Profit organization for a Ugandan Children's Center taking care of over 800 children.